"Condemn that Akhilesh Yadav was not allowed to hold event in Prayagraj. Is BJP govt so scared of SP-BSP alliance that they've started banning political events? They seem to be using Kumbh for political agenda. Not allowing Akhilesh Yadav to go to Prayagraj proves that," BSP chief said. 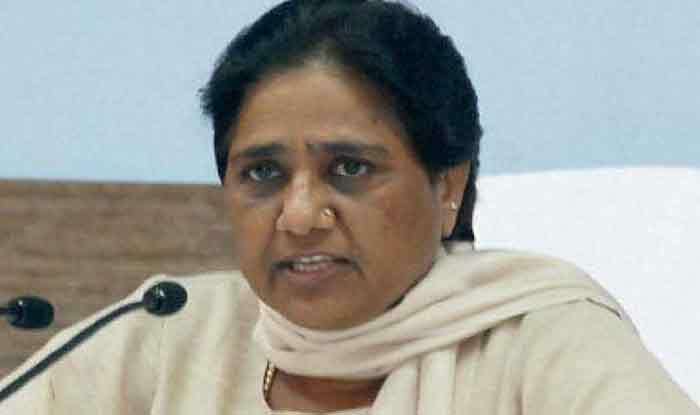 Lucknow: Coming out in support of Akhilesh Yadav who was on Tuesday stopped at Luckow airport while on his way to Allahabad, Bahujan Samaj Party (BSP) supremo Mayawati said that that the incident was condemnable. “Condemn that Akhilesh Yadav was not allowed to hold event in Prayagraj. Is BJP govt so scared of SP-BSP alliance that they’ve started banning political events? They seem to be using Kumbh for political agenda. Not allowing Akhilesh Yadav to go to Prayagraj proves that,” BSP chief said. Continuing her attack, Mayawati described the episode as “an example of total dictatorship of BJP government”. It must be noted that the SP and the BSP recently forged an alliance for the upcoming Lok Sabha elections. Akhilesh claimed he was stopped at Chaudhary Charan Singh International Airport in a bid to prevent him from visiting Allahabad to attend an oath-taking ceremony at Allahabad University. “The government is afraid of oath ceremony of a student leader and is stopping me at the airport to prevent me from visiting Allahabad,” Yadav claimed.